Counsel from Ellen G. White's visions: "Don't Rebut Their Lies"
When Stephenson and Hall were First-day Adventists, they had accepted the theory of an "Age to Come," in which probation for sinners would continue beyond Christ's return. Their object was to have the Review publish their theories or they would destroy its influence. Very soon they began to write for the Messenger* and thus they lost their hold upon our people. 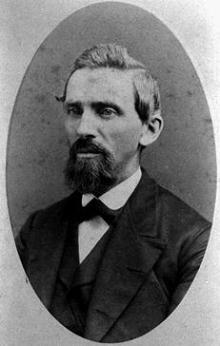 * Two disaffected Adventists, H. S. Case and C. P. Russell of Jackson, Mich., published a paper called Messenger of Truth. The title "Age to Come" was associated with them after Stephenson and Hall joined them and promoted theories of an earthly millennial reign of Christ during which probation for sinners would continue. At the time of my healing at the home of Brother Place, Sister White was taken off in vision and was given important instruction for us regarding the Messenger of Truth. Five of us, White, Waggoner, Cornell, Frisbie and myself, had decided upon a line of attack against the slanderous assertions in the Messenger. We had decided among ourselves without counsel with Sister White. After she came out of vision she said to her husband, "You brethren have made a mistake in your plans to refute the Messenger paper. When you answer one of their lies, they will make two more to match them. It is the trick of the enemy to keep you following them up and thus keep you from working with all the new interests that have arisen. Let the Messenger people alone, and pay no attention to their work, for in less than six weeks they will be at war among themselves. That paper will go down, and when they cease its publication, you will find that our ranks have doubled." "All right," we agreed, "We will abandon our scheme and say no more about them in the Review." Up to that time the Review had rebutted their false statements. When the next Review appeared with nothing in it about the Messenger, they exulted, "Now the battle is fought. They dare not say anything against us." Then when the succeeding issues of the Review made no mention of their work, they boasted still stronger. But soon afterwards, two of their number who had been their best financial support withdrew. Their paper struggled on until 1857, then died for lack of support. When the paper went down, there were more than twice as many adherents to our cause as in 1855 when Sister White so predicted.